Is there a better alternative to Collaboradoodle? Is Collaboradoodle really the best app in Chat category? Will Collaboradoodle work good on macOS 10.13.4? 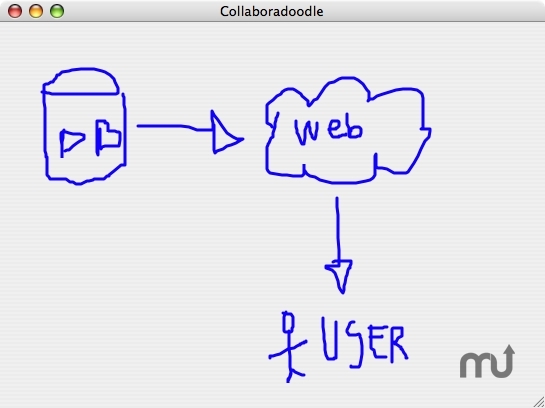 Collaboradoodle is a collaborative drawing application. When you ask people if they like to telecommute in to work, they say that they love it. Except for the fact that they can't just get all their co-workers into a room together to sketch out their ideas on a whiteboard. This is where Collaboradoodle - it's a shared whiteboard drawing application. So you don't need your friends or colleagues in the same room to do your brainstorming session. Just fire it up, connect, and brainstorm away. Collaboradoodle needs a review. Be the first to review this app and get the discussion started! Collaboradoodle needs a rating. Be the first to rate this app and get the discussion started!